Donald and I, and our family, found out on Saturday evening, our home, our business, and everything we ever owned, collected or built has been destroyed by the California Camp fire that almost completely obliterated the town of Paradise, CA. I am so overwhelmingly grateful, since that fateful day on Nov 8th 2018, the day my family lost everything in Paradise, CA, during the California Camp Fires! The day my twin brother, his wife and four teenagers, and myself, lost our home, our business, our possessions, our community, our sense of security and safety, and retirement savings. We don't have a picture of our parents or an item we cherished to hold on to anymore! And I can't stop saying, Thank you! Everyday is a miracle! Every single day since tragedy struck! 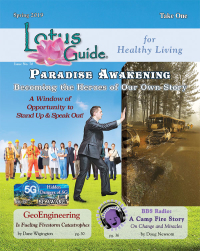 Last year, I wrote an article in the Lotus Guide, where I mentioned that BBS Network, Inc. (BBS Radio) had just completed it's solar installation (to do the right thing), and that we might be the first company in the industry to operate 100% on solar power. It was an achievement, along with others that were completed just weeks and months before the fire took place, which took years to accomplish (a lifetime). BBS Network, Inc. was at the apex of the industry, and well-situated to grow rapidly into the foreseeable future. Everything we'd worked for, we'd hoped to accomplish and set in motion, was finally complete and ready for launch. We were excited! A lifetime of work and dreams were emerging (converging). Then tragedy struck (we may never reach that level again)! Great change of terrible proportion, is something we've experienced regularly. We've had everything taken from us or stolen from us more than ½ dozen times. We've also lost our home and possessions in three separate events. 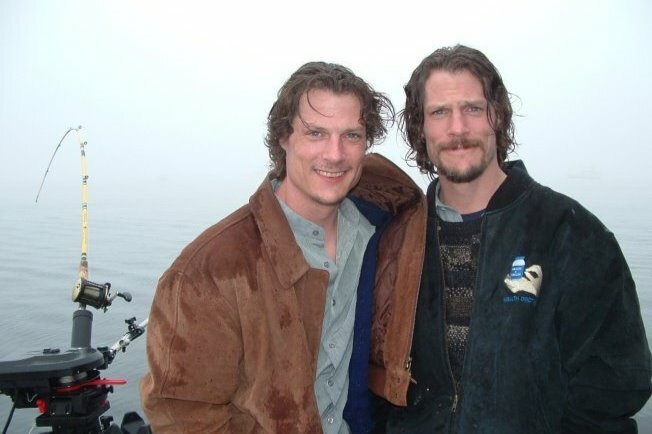 In a couple instances, my brother and I were capable of retirement prior to the event occurring. In every instance, we lost everything of financial value (and gained other things of more value)! It was after one of these events, the most costly, that I gained the most personally. A spontaneous Kundalini after two years of inner reflection and hours of daily meditation. It was a time period when I had to forgive the world and embrace it, or quite frankly, go insane. I was seeking ways to make sense of terrible events, caused by bad people and nature; one after the next for a period of 20 years. A human soul that wants to grow in wisdom and compassion can not do so in a bubble! During times of great change, we evolve the most. This is true for every living thing, which changes genetically to adapt to changing circumstances. We know from history, that levels of higher awareness are most often obtained (abruptly), following major events (periods of fasting, long periods of quiet meditation, near death experiences, loss of a loved one, major life shifts, etc.). These Quickening moments help define us (good and bad) and we must embrace them (and be grateful). The definition of insanity; being unforgiving! My brother and I are extremely positive people. We love what we do, which has a positive impact in this world (we have a purpose). We tend to think outside the box. We set goals. We motivate each other. We thrive in competition. We are workaholics. We get over things quickly. Traits that come in handy when calamity strikes! Yet for us, this time around, they were all seemingly unnecessary, because an outpouring of generosity from a thousand souls showered us almost immediately and continuously (even before we could recognize what was happening). As a result, BBS Network Inc. (BBS Radio) was back in business 30 days later. How does one ever describe the feelings that come from this level of awareness? How does one ever give enough thanks? And, it was a competitor in the industry that started, created and managed the donations (what company does that for another) because they cared about our well-being. BBS Radio is our future! It is our way of empowering the world! It's our dream! It's our way of exploring and sharing many points of view, not just one! It's our chosen vehicle to affect positive change. It means everything to us, and we got it back due to the compassion of others (most we don't even know), unexpectedly (because of a competitor). Donald and I have never taken from others. We've turned down every manner of gift and offer of help since we were boys. We are very independent, so accepting this generosity took even deeper levels of awareness (deeper levels of humility)! But, once we showed our need and vulnerabilities to the world, it repaid us with kindness; cradling us with support (weakness was our greatest strength). I often surmise, change like karma, has a reciprocating affect, meaning don't be surprised if the force of change you release comes back at you (in more ways than you can expect). Dogma or ignorance is the result of no thought... no more thought upon, that strangles the host. To come together, we must think of right and wrong, and good and bad, based on everyone else's point of view (not just our own). We don't grow from the known, but by knowing more! Ultimately, we'd like to find peace in that knowledge! (This understanding guides us)! It can be said, a sense of purpose grants you clarity. Donald and I knew what we had to do within hours of this tragedy. We had to get back in business as fast as humanly possible (because our work had a higher purpose)! Such a motivation in life has no equal. A purpose that goes beyond the self! Because BBS Radio affected so many people (positively), it gave us the motivation to overcome all challenges, and BBS Network rose from the ashes (during a period of total chaos) in a few short weeks. A little advice... Ultimately, no matter what happens, when tragedy strikes, remain calm. Be more observant and try to provide assistance and comfort to those around you. This will help you as much as others from feeling sad, scared, angry, or some other undesired emotion (because you must now show strength). As soon as possible, create a plan of action; a list of things you need to accomplish. Just do it! It will guide you! See things in terms of possibilities. Embrace the mystery and newness, and tell yourself over and over, something good will come of this! Be positive! When in doubt get help! In this instance, given the magnitude of the financial losses, we sought out help. In most cases, it's not what you know or how you think, it's who you know that benefits you the most! In our opinion, the single most important person to know (to find) is a good lawyer! Period! This is true for every single major event we've ever had to deal with over the past 30 years. Call our lawyers! They're impressive! 1-888-law-suit! Blessing to everyone this Holiday Season! What a time to be among family and friends, loved ones and and strangers. It is a magical time of year, filled with hope, goodwill and good cheer! It bonds people together, even after great distance, difference and time. We think about the stories, get excited about gift giving, laughing and singing (and embracing). We are intimately affected by it all! We, the Newsom Family, have been given the most valuable gifts. We have been gifted heartfelt, endless love, immense support, emotional words of care, your endearing compassion and very thoughtful understanding, financial support and blessings, and more; from thousands; profoundly beautiful people! We have so much to be thankful for! And we are most thankful for YOU! BBS Radio is back in operation, producing and streaming live talk shows! We have noticed a bit of kinkiness in our Internet connection capability. High speed business Comcast (costing $750/mo) does not seem to provide a steady state current – even near San Francisco! We will need to bring in a T-1 line! There may also be a few time delays on shows, as we work out some of the kinks. With a lot of new equipment, it can be a bit of an engineering puzzle, beset by nuances, that might take a bit of time to resolve. Today we start the next chapter! BBS Radio (2 point O); providing our hosts the very best service and platform on this planet, creating more success and visibility while empowering the world, and connecting all the pieces that make up the whole. Not a day goes by that we don't think about all the work we put into our lovely home... which is now gone, but life is full of transitions, and we are ready to begin the next phase of our journey. As you know, we were in Texas during the 100 year floods (and lost our home), and now the Paradise, California Camp Fire! Yet through it all, we've discovered how much love and support truly exists for Donald and I and the work we do. A month has gone by, and I never thought it would be like this, from a life of excitement and exuberance about the future, to a life in turmoil. But we are the lucky ones... Everyone in the family is healthy and alive. Now, four weeks later, we are in the process of making a critical move from the past into the future, but before I tell you about the future, I'd like to tell you a little bit our world, which no longer exists. I, Douglas, ultimately worked myself too hard, making our past home livable and beautiful. It's all I ever did in my spare time, landscaping and improving the inside of our residence and office. My goal was to create a place of immense beauty, which could be enjoyed by everyone. I figured, because we work 80-100 hours every week (every day of the year), that if we couldn't take a vacation, I'd make our home and our gardens breath-taking, in essence, creating the retreat we'd travel to, to experience, something that existed in our own back-yard. The physicalness of this endeavor has done some damage to my body... Something that will have to be addressed in the not to distant future. Donald and I planted every type of fruit tree and berry bush that could grow in the area, over 150 different types of edibles (strawberry trees, grapes, apples, oranges, kiwi, pomegranates, bananas, figs, persimmon, guava, wolf berries, prickly pears, plumbs, mandarins, pears, peaches, lemons, kumquats, etc.). Interestingly, the Department of Agriculture came out to our home a few times, just to make sure the plants were legal, and to let us know they had their eyes on us. I also created over 2,000 feet of rock walls, some as high as 6 feet, to terrace off the land, which dropped down stunningly toward a stream. All the rock came from digging and relocating earth from the property! We also created cement benches and outdoor lighting, paths and trellises, and other lovely features to captivate one's attention. We brought in 100s of yards of dirt, compost, dung and wood shavings (provided at no cost, only the labor to pick it up), to grow all the plants. We never used any chemicals, ever! We did everything the old fashioned way, and we allowed all forms of nature to co-exist with us. We had squirrels, gofers, deer, quail, chickens, rabbits, wild turkey, pheasants, owls, bats, frogs, lizards, and an amazing variety of other critters that trafficked the property. We were all blessed that so many living things desired to make their home upon our lands. It was a place of immense spiritual energy! This is now gone, and the body pain is a constant reminder of all the work that no longer bares fruit. But we shall endure, and we shall do it again, given the opportunity. GOOD NEWS! We have found a place to stay for the next 6 months (maybe longer). It is a home located in Lafayette, CA. It is a nice area of rolling hills and spacious grounds, quiet and serene; perfect for work. Most importantly, it has high speed internet. We will be moving in this Sunday. We feel very confident that we can begin Live Broadcasting Wednesday/Thursday of next week. We have 99% of the equipment in hand; ready for operations! Donald and I are still struggling with bills, but we know, with a little luck, we'll make it! If we can be operational next week, which we fully expect, we will have realized a miracle in 30 days. How can we ever thank you all for being OUR MIRACLE! Thank you all, with so much love, it would fill ever corner of every room in every part of this world. On Thursday, 30 days from the day this all started, we will discontinue our donation page on gofundme... and eternally give thanks! Your generosity has made all the difference in the world! I have this little girl Nikki, a precious min pin, she was the runt of the litter, almost 16 years old this coming April, sleeping next to me... since forever, and eating from my finger tips, as she can no longer see or hear very well, and won't eat without this form of giving, from my hands. She has slept behind my chair, since birth, never more than an inch from my body, for most of her life. I got the end of the chair, but I have great posture! Now, little Nikki is in a strange place, bumping into things when she walks, and peeing where everyone else walks. With each passing day, I have more compassion for her. The older she gets, the more I care for her, and the more I love her, and the more I feel her needs, and the more I strive to make her happy. And the more I am grateful! She is that endeared to me, and I her! This is one of the hardest things to endure, knowing each time she looks up, lately, I am not there! I am running errands and doing a million things necessary to manage this crisis. There is SO MUCH LOVE in this little being, and yet, because of so much change, I cannot give her very much time. Yet, here I am, receiving so much, SO MUCH LOVE, compassion, kindness and goodwill, it's beyond expression. It is humbling, and I am so very grateful! Many times an hour I find myself breathing deeply, filling my lungs, breathing out gratitude, with an emotional desire to hold everyone tight in my arms, and radiate my love... Your kindness touches me so many times each day, it's awing! I am changed by the magnitude of it! We all are! What you have given to us, so generously, has allowed us to start back our streaming operations and acquire all the equipment necessary to once again be broadcasting original programming. 95% is built and ready for operation. We still have parts coming, in transit, but it won't be long! We need a day or two of testing from that point! If the lines can handle the bandwidth load, we are set. We hope within the next 5-7 days (maybe sooner). Donald and I (and the Family) are still working through a lot, and so much work is now a priority, like finding a place to live, and lately, each task takes a lot of time, and often you spend a day doing something without ever really accomplishing anything (or so it seems), standing in lines for hours just to get your mail, which is a 40 minutes away, and ½ dozen postal locations, who may or may not have what they confirmed they had (for some reason), and spending a day getting mail (half of which is found). I suspect Donald and I will be somewhat in over our heads for another month or two, dealing with stuff, like creditors, banks, insurance companies, in locations that move around a lot. Getting a person on the phone, like a tax assessor, is not impossible (per say). But you are encouraged to visit their temporary location in another town, to get answers. Prices have gone up for almost everything of convenience, I think! A bottle of pop seems to cost 20 to 40 cents more, at a gas station, but then, as our Dad used to say when he was alive, “What do I know!” And laugh (I can remember this fondly)! As a family, we are taking matters of finding a new location to reside into our own hands. We hope to prove more successful than our insurance company, which recommend we wait for them to do it for us, 2 weeks ago, and now everything is booked solid for two hours in every direction (go figure). So now we are trying figure out a location as far as 4 hours outside of Paradise, CA, which will mean a splitting of the family (for a few months), as two boys will remain in Chico, ca (right next to Paradise, CA) to finish their objectives in school. It's what they want most! Through it all, we are still very hopeful, and working non-stop to get to more solid ground! And thanks to all of your love and support, we will soon be able to say, “ARISEN” from the ashes! And BETTER then we were! THANK YOU! Our family truly couldn't make it without your kindness, prayers and love! Two weeks have gone by since the California Camp Fire took our home, our business, our vehicles and everything we've ever owned, collected, saved and created as a family of seven! To say it has been difficult is an understatement, and the realization of so much loss seems to become more evident with each passing day. Through the years, our work was often accomplished in very little time, because we had something in the past that we could refer to, as a guide for all future work. We relied on this database of knowledge. Donald and I were meticulous. We created reports on everything! If we planted a tree, we'd have an excel file documenting its location, age, cost, what it produced, it's species, how to care for it, etc... This is true of almost everything we did! As you all know, we had backups for everything, and redundancies for everything so we could overcome anything. We prided ourselves in this fact, and endeavored to always find a way to make sure nothing was ever lost, and under all circumstances, still accomplish our tasks. Thanksgiving has now passed, and we haven't had much time to reach out and update everyone (forgive us), as so much work needs to be accomplished, and there is never enough time (it seems), but we want to THANK YOU ALL and WISH YOU ALL, with infinite love, every possible blessing, and give thanks for your prayers, friendship, wisdom and donations. HAPPY THANKSGIVING! We are blessed! And each day we realize how truly blessed we are, to be alive, and to have such love, kindness and goodwill surrounding us! Simple tasks like making a doctor's appointment, seeing an animal vet, going to the mail, buying something to eat, etc... now takes a lot of time. We must travel a long way to accomplish these tasks, and often, everyone and every establishment is booked solid, out of supplies, or there is a very long line... Given the magnitude of this catastrophe, it's understandable! We are still trying to find a more permanent location to reside, but this has proven more difficult than we surmised. Everything within a 90 minute drive of Paradise is booked solid, all apartments, all home rentals and all bed and breakfasts. We have been told that our insurance company will help to locate a place on our behalf, however, after numerous assurances, and positive statements that this would be accomplished, we still haven't heard a peep. Once again this is understandable, albeit very inconvenient. Donald and I are ever hopeful, and we are maxing out our credit cards in every direction to acquire all the computers and broadcasting equipment necessary to be fully functional again. We are also asking for a grace period on many debt payments, and trying to get a small business loan to help bring down our monthly overhead. It is stressful, and sometimes feels impossible, but we will make it work, no matter what, we will make it work! We do not believe in failure! We will overcome these challenges, and WE WILL arise from this situation MUCH STRONGER! Of that, have no doubt! Good news! We have finally ordered ALL the equipment we need to be fully operational! We expect to receive all the hardware and software within the next 7 days. Good news! We have our 24 hour station streams up and running for Station 1 and Station 2, which are now running around the clock and playing RERUNS of prior Talk Shows, with music, commercials and BBS Radio promos playing in between talk shows (AS BEFORE). Good news! We have been working tirelessly to retrieve all the BBS Radio promos, Station ID's, host commercials and indie music back from the ashes. This will be accomplished within the next few days. Ultimately, all the data on BBS Radio will be available! We have lost only a small portion of information (maybe 2 or 3 percent missing, that we cannot obtain), which is a miracle! And for that we are extremely thankful! Donald and I (Douglas), and our family, Melissa, Kayleigh, Sean, John and Thomas are forever in your debt! We have almost reached our goal of $25,000 in donations (almost $21,000 received), which is almost enough to purchase all the equipment we need to be fully operational, although there is more that is required, we can make it work, and over time, acquire the rest. In many cases we have purchased slightly used and/or refurbished equipment, which makes this all possible, given limited capital. Our next objective is to get back to work as soon as humanly possible (within a week to ten days). We are just waiting on equipment to arrive! We humbly ask your forgiveness for the delays in getting back to full operation, and we thank you all for keeping us in your hearts and minds, for your continued support and donations, and for sticking with us through this crisis! We are so very, very grateful! Thank you, to everyone, so very much for your kindness and support. To be shown so much love and goodwill makes us all truly emotional. How does anyone express and return such generosity and love, which comes from so many beautiful souls, and feel worthy? We are now at 60% of our goal, which is so close to being able to rebuild and purchase all the necessary equipment to have BBS Radio up and running within days of finding a more permanent place to stay. This is a blessing beyond words. How can we possibly thank everyone for being so kind and thoughtful. We pray, someday to have this chance, to repay your kindness. We hope to locate to a permanent place within one week. We will have our station streams back on within 48 hours. We will be able to broadcast RERUNS at that time! As soon as we are moved to a new location, we will be able to produce radio shows and be back to normal. IT WON'T BE LONG! Thank you for staying with us! We are working tirelessly to get everything done as soon as possible, and WE WILL BE at 100% capability if we reach our goal on gofundme (which is a MIRACLE if it happens). We are so, so, so very grateful! Donald and I are so blessed to have such FANTASTIC HOSTS! We already miss talking to you all! It almost feels like a year has passed and yet it has only been a little over one week! Each day Donald and I, Melissa and the children go to bed thankful to be alive. We, like so many, barely escaped the fire, which was a harrowing experience. So many lives were lost, and so many unaccounted for, it makes this one of the biggest tragedies of all time! Before we left Texas to come to California, Donald and I were also caught in the 100 year flood. An event that cost us dearly! Now we must overcome the loss from the California fires. Sadly, this time, our losses were complete and total. The loss of our pictures, family history, personal items, books and poetry, diaries and family memorabilia is the hardest to think about, but we know, we have been blessed. We are alive and together! AND BECAUSE OF YOU, and your kindness, we so close to being able to rebuild! Please help us reach our goal, by sharing our gofundme page and/or our paypal donation link! From the very depth of our being, THANK YOU! We love you all so very much! We are so deeply touched, it's impossible to relay how grateful we are. We love you all so very much! Thank you to everyone who is sharing our gofundme link, your continued support love and prayers has humbled us to our very core, and has often brought tears to our eyes. We owe you all a lifetime of dedication and diligence to a higher cause, to the manifestation of love, piece, and good will on Earth, to the proliferation of information that can up lift the human spirit and empower everyone to realize their true potential, and to the creation of systems that can bring down all walls that separate us, and ultimately elevate human happiness. We will not let you down! We will broadcast again, and we will infuse into our labors into our hearts that overwhelming selfless love and energy you all have so richly blessed us with in our time of need! 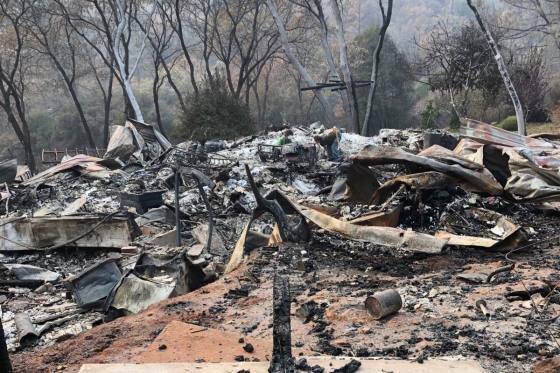 Donald and I, and our family, found out on Saturday evening, our home, our business, and everything we ever owned, collected or built has been destroyed by the California Camp fire that almost completely obliterated the town of Paradise, CA. We barely managed to escape the all consuming fires. We didn't even have a chance to grab necessary documents or clothing. It is tragic and a very emotional time for us. We were on the very cusp of taking BBS Radio to the next level of it's development, something which took all our efforts and resources. As you all know, we completed everything over 2 years to become Gov't contractors, to be able to accept money by various agencies that wished to advertise on BBS Radio. We wanted to be the ones to bring the advertiser to our hosts. We also were just approved by iHeart to be a 24 hour station stream on their network. We also had our Company syndicating our live 24 hour station streams to almost 70 of the largest networks on the planet. We also did all the research to prove our standing in the industry. We were set to grow to levels far beyond what other companies in this industry were capable of, and we were excited about the future, and for future of our hosts. The fire and our losses have created a roadblock, which will result in some down time, but IT WILL NOT STOP US from reaching our goals, to empower the world and change as many lives as possible in a positive and meaningful way. Our hosts DESERVE the best platform in the world to reach as many people as possible with their knowledge, love and positive energies. And we will not let you down! We have already moved forward, going into further debt, as far as possible, to acquire all the necessary equipment to be back in operations within a couple of weeks, but the costs of this endeavor, the costs to survive, with food, shelter, clothing and the purchase of equipment is beyond our current capabilities. We wish we could, without help, but we literally have nothing, and we don't know how much longer we can go on, before the situation becomes too dire. Sam, the owner and founder of LA Talk Radio, kindly set up a GO FUND ME account for us! And we are eternally grateful! It brought us to tears to think that others cared so much for our well-being, they offered help, even without being asked. Donald and I feel so much love from so many beautiful spirits, family and friends, it's overwhelming! The community around us, their support, the offers of assistance, the kindness and love by everyone, the words of encouragement at this time, are so well intentioned, it can't help but make us emotional, humbled and thankful. Our society is without question, built on love and kindness at its core, and we have been blessed to witness this, here and now, and words are not enough to express our deep and heart felt appreciation. Please, if you can find it in your heart, please help us raise some money so we can get through this situation over the next 60 days and be able to rebuild. It may take months to be back at 100% capability, but we can be in limited operations within a couple of weeks. If we can manage this, it would enable us to move forward to ultimately be bigger, stronger and better than ever before. It is so important to keep moving forward, as our network touches so many lives, million and millions, and that is worth more to us that anyone could possible know, and it is the reason we will walk through the fires to keep moving forward, regardless of the costs to ourselves. We have lost everything, but possessions are meaningless. It is BBS Radio, our hosts, and their good works that ultimately have the real value. We can and will move forward, even if at the end of the day, we never have anything to call our own, because, in truth, we have everything that matters, the love of our community, our family and friends, our hosts and the lives of everyone BBS Radio touches. Please help us, by sharing the gofundme link, and posting it to all your social sites, facebook, twitter, linkedin, etc.. even on your websites if possible. Please, if you have the means, donate. Donald and I have never asked for help. It's hard to do, especially when you want so much to give, and when there are so many other people in need, but alas, we don't know what else to do, and we don't want to see BBS Radio fade away. It would destroy us more than any fire could possibly do! Please share the gofundme link and ask those you know to also share it. My dear friends Don and Doug Newsom, the indefatigable owners of BBS Radio, and their family lost their home, business and memories in the Camp Fire that obliterated the sleepy town of Paradise, California.It's painful to think of the heaviness of their unimaginable loss. How do you deal with something like this? Where do you begin? We felt it our duty and responsibility to reach out and lend a helping hand. Please help us to help them find a new home (the family includes Melissa and the kids) and start rebuilding the radio station, which has been their whole life for over a decade. Let's turn this tragedy into a story with a happy ending! And thank you for your generosity. UPDATE - please click on CONTINUE READING for an update on what is happening. 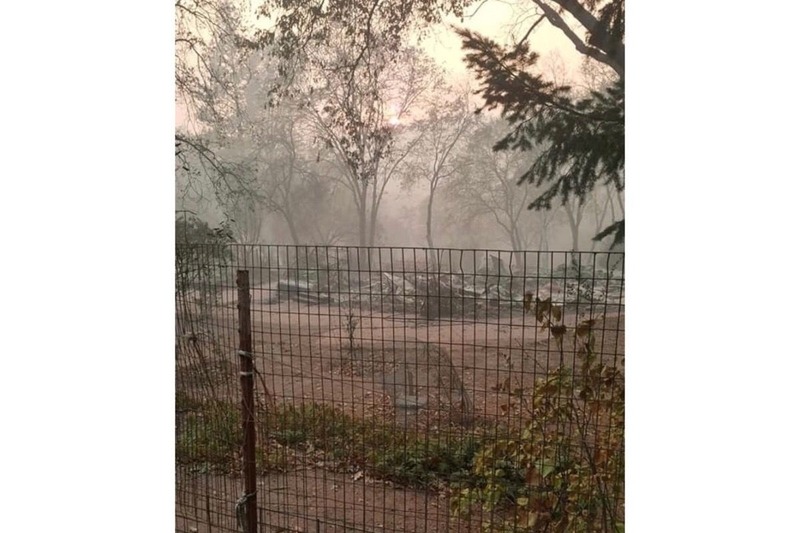 Donald and I, and our family, found out on Saturday evening, our home, our business, and everything we've ever owned, collected or built has been destroyed by the California Camp Fire that almost completely the town of Paradise, Ca. We barely managed to escape the all consuming fires. We didn't even have a chance to grab necessary documents or clothing. It is tragic and a very emotional time for us. We were on the very cusp of taking BBS Radio to the next level of it's development, something which took all our efforts and resources. As you all know, we completed everything over 2 years to become Gov't contractors, to be able to accept money by various agencies that wished to advertise on BBS Radio. We wanted to be the ones to bring the advertiser to our hosts. We also were just approved by iHeart to be a 24 hour station stream on their network. We also had our Company syndicating our live 24 hour station streams to almost 70 of the largest networks on the planet. We also did all the research to prove our standing in the industry. We were set to grow to levels far beyond what other companies in this industry were capable of, and we were excited about the future, and for future of our hosts. The fire and our losses have created a roadblock, which will result in some down time, but IT WILL NOT STOP US from reaching our goals, to empower the world and change as many lives as possible in a positive and meaningful way. Our hosts DESERVE the best platform in the world to reach as many people as possible with their knowledge, love and positive energies. And we will not let you down! Please, if you can find it in your heart, please help us raise some money so we can get through this situation over the next 60 days and be able to rebuild. It may take months to be back at 100% capability, but we can be in limited operations within a couple of weeks. If we can manage this, it would enable us to move forward to ultimately be bigger, stronger and better than ever before. It is so important to keep moving forward, as our network touches so many lives, million and millions, and that is worth more to us that anyone could possible know, and it is the reason we will walk through the fires to keep moving forward, regardless of the costs to ourselves. We have lost everything, but possessions are meaningless. It is BBS Radio, our hosts, and their good works that ultimately have the real value. We can and will move forward, even if at the end of the day, we never have anything to call our own, because, in truth, we have everything that matters, the love of our community, our family and friends, our hosts and the lives of everyone BBS Radio touches. Please help us, by sharing the gofundme link, and posting it to all your social sites, facebook, twitter, linkedin, etc.. even on your websites if possible. Please, if you have the means, donate. Donald and I have never asked for help. It's hard to do, especially when you want so much to give, and when there are so many other people in need, but alas, we don't know what else to do, and we don't want to see BBS Radio fade away. It would destroy us more than any fire could possibly do! Please share the gofundme link and ask those you know to also share it.